The Robert Louis Stevenson School will be presenting an event on Thursday, April 3 called Restoring Hope During Adolescent Crises. Please find the relevant information below. Tickets are $22.09 a piece after fees. Adolescence features major developmental tensions physically, socially, emotionally and academically. As a parent of an adolescent, you may feel hard pressed to know how to help your child with complex problems. Our panel of experts will provide you with key pointers for recognizing problems when they start and offer specific ways to help your child engage in a meaningful, well-balanced life. Questions to be addressed: When is intervention needed? Does your adolescent need an alternative school environment? Will your adolescent ever go back into mainstream education? What are reasonable parenting expectations? What supports should you make sure exist on a college campus? Professionals working with adolescents and their parents may also find this event quite helpful. • Sherri Maxman, owner of College Maven, LLC, has a specialty in providing college counseling for high school students with learning differences. Ms. Maxman is a graduate of the Independent Educational Consultants Association’s Summer Training Institute and is a member of NYSACAC. 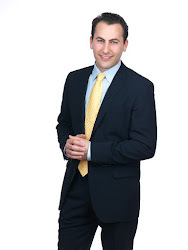 • Matthew Mandelbaum, PhD, is the Director of Outreach at the Robert Louis Stevenson School, a college preparatory day school in Manhattan that offers a high-quality education designed to help students succeed. Dr. Mandelbaum is also an Adjunct Assistant Professor at Fordham University and holds a MA in Education and a MA in Psychology. • Erika Nagy, LCSW, is a psychotherapist and psychoanalyst specializing in helping parents who have children with learning issues, ADD and anxiety. Ms. Nagy also holds a MA in Education and post-graduate certificates in psychoanalysis and psychotherapy. • Victor Schwartz is the Medical Director of The Jed Foundation, the nation’s leading organization working to prevent suicide among American college students. Dr. Schwartz is recognized nationally as a college mental health leader. • Sharon Thomas, MSC, MSED, Director of MAIAA Parent Resource Center and Educational Consultant at the Brearley School. Ms. Thomas is a learning disabilities expert and works closely with families to develop comprehensive individualized educational plans. Seats Still Available. Kindly Invite Your Friends, Clients, and Colleagues.